I have been received messages from many different people, inspired by my work, asking me about how can they grow up in their career, how can they start becoming a Xamarin Blogger, what skills do they need to have, which advices can I give them, among other questions. 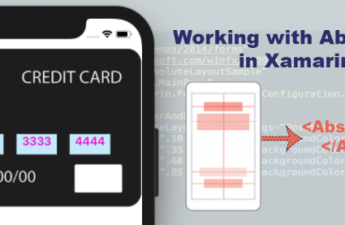 That’s why in this time, I took a time to write about my experience being a Xamarin Blogger and some of the most important things for me to start being a warrior in the Xamarin Blogger life. ▪Define a niche(s) to write: In my case I selected Xamarin. Is very important to define the niche or the topics that you will be covering, because your readers have to be clear about what do you write about in your blog, this also helps the people to keep you in their minds when they think about this topic(s). (Xamarin for example). And last, but not least, this is a hobby, not a job, so you must LOVE the selected topic(s), so you always keep the spirit. ▪Define the language(s) that you will be covering: Is very important write In a specific language, it doesn’t matter which one, but you have to give to your readers a stable option at time to find an information. In my case, I have two blogs: One in English (AskXammy.com) and the other in Spanish (Medium Profile from Leomaris Reyes). As we can see, I divided by languages my Xamarin Blogs. ▪Choose a platform to write: To start a blog, you must find by some appropriate platform to write. In my case, when I started with my Xamarin Blogs, I selected two of them: WordPress Cms and Medium. ▪ Look for a name and good Look and feel: Personally, I always say that branding is very important, because it’s how you present yourself, and your work, if your presentation is good then your work will speak by itself. I looked for a name: The name is your representation in the network and by which your readers will remember you. You can put your name or wherever nickname you want. I selected: AskXammy. I established my color scheme: Just to create my best space to write, I selected my favorite color. ▪ Create a discipline – Define a frequency (Interval) publications: It’s very IMPORTANT to create a discipline. Before to start, you must define the frequency that you will be writing. I recommend Weekly or biweekly. ▪ Create a topics pool: It’s very helpful to create a list with all the possible topics that you might be writing, this allow you to organize your time and projection for your blog. To do it, I recommend to use Trello. 🔹 This is your Portfolio! You just have to know that all the beginning have challenges, there is nothing to be afraid of ‍ 🤷‍, it’s normal to be scared, just don’t let those fears outweigh your desire to write. I hope that this advices help you to be empowered and give’s the push you needed to start your own Blog! Very nice advice.. Inspired. Thanks dude. I have to learn more and more. Very nice and helpful article I like it.